Today, January 20, 2016, I read an article in the Wall Street Journal entitled, “Hillary Is in Big Trouble.” The article boldly displayed the line, “Clinton increasingly seems stuck in the past, dogged by wilting poll numbers and heavy baggage.” Conservative author, Fred Barnes, clearly not a fan of Hillary, or the Democratic Party, predictably, offered a laundry list of Hillary’s challenges (Benghazi, her husband’s abuse of women, sending top secret e-mails via her unsecured server, lying, etc.,etc.) as being the reason she is struggling against Bernie Sanders, AKA, “the ‘socialist’ from Vermont.” I disagree with Mr. Barnes. I contend that, it is not so much her perceived flaws, as outlined in the article, that are threating her ability to rally her supporters, but more so (weighted less heavily in the article) her inability to rally audiences; that is, her failure as a public speaker. It is Hillary’s inability to move her audiences that is most compromising her success thus far in her bid for the Whitehouse! Politics aside, in the Hillary versus Bernie speech contest, Bernie, according to his audiences, appears to be winning. I would argue this is because, 1) He’s using his time wisely, 2) He’s making his audiences say “wow!” and 3) He’s telling the audience things they’ve not already heard! Let me start off by saying that the campaign for this year’s election has been off the wall crazy. The candidates, the voter turn outs, the insane news coverage, everything. I just became eligible to vote this year and am blessed to take part in such an entertaining election! When looking at all of the candidates, I would have to agree that Bernie Sanders does have the best public speaking skills of them all. Though I do not agree with his unrealistic promises and views, he really does know how to reel them in. A 74-year-old man that’s really hitting it off with the younger population?! That’s crazy! You’ve got to applaud him for that and be able to acknowledge that he is a pretty good speaker if he could get an 18-year-old to stop looking at their phones for 5 seconds to listen to him talk. Hillary Clinton on the other hand is not only a liar and total crook, but a horrible public speaker. She is super repetitive and doesn’t have that command presence that a leader of such a great nation needs. Overall I would have to agree with the professor on this one. Bernie is rocking it with the voters because he’s proposing new things, and Hillary is stumbling for the fact that she has the same droning speeches over and over. It’s old and it’s boring. Someone should send this link to Hillary or her advisers because obviously she hasn’t been told yet that less is more, haha. The article was enjoyable for the fact that it held so much credibility to it with the professor telling us all about his background in speech and all of the experience that he has out of it! Cool topic, cool comments! I’ve learned a few things so far about these candidates from the discussions on here. Listening to action and adventure, like a revolution can capture many imaginations! Since the first democratic debates, both Bernie Sanders and Hilary Clinton have stood out from the rest of the candidates in both parties. While the Republican Party looked like a reality show mess where people pointed fingers and bashed at each other, both Hilary Clinton and Bernie Sanders showed signs of agreement and even support for each other, such as when Bernie agreed to “enough about your damn emails!”. This support and agreement for one another has long been gone due to competition getting tight. Even though Clinton believes in continuing Obamas work, she has had to separate herself from this idea due to the fact that it is old news. It has been a common question in many of her interviews and debates regarding how she will differ from Obama’s administration. Bernie Sanders’ attacks on Wall Street have even become a similar move for Hilary Clinton, saying that she would work with Wall Street on moderating its recklessness. I believe that the article is correct about the different results between Bernie Sanders and Hilary Clinton. Bernie Sanders has been able to turn heads and spark wild conventions at many of his rallies due to his “revolutionary” ideas and difference in appeal to politics. Hilary Clinton has shown great strategy in this competition for the Presidential Nomination, and as of now is leading in the Democratic Party by more than a quarter pledged delegate, but Bernie Sanders has still had a bigger WOW factor in all his speeches. He has no remorse for the rich and powerful, and even though he may rant a bit too much about them, he has cursed their use of money on politics like no other candidate running for the presidency. Hilary Clinton has the experience and position to gain momentum as the presidential candidate, but if this energy is not channelled properly to the voters, she will not be heard as well in the crowd. I agree with both Mr. Barnes and Professor Smith about this topic Hillary already has a some flaws about her reputation and sketchy background. This makes us rethink if we want her to be in charge of our country. She really could overcome those problems by rallying her audience. She needs more than just the basic and “wow” her audience more. Bernie on the other hand is delivering his speeches that is capturing an audience and supporters. He is delivering what they want to hear something new, new possibilities, and his timing seems to be okay. I think that’s really what people need to do for public speaking know your audience and give them something that will rally them up. The audience should be our number one concern. They do not want to be stuck listening to the past, because in reality we are concentrating in our future. My vote for who is a better speaker would also be Mr. Sanders. I thought the articles was helpful in making me understand that audience, time, and what you deliver is everything. It needs to be in an appropriate manner in order to rally up your audience. Our goal as a speaker is honestly to get our audience’s attention and impress them every moment you get. That is what is going to get the votes and cheering. Another thing I liked about the article was how in mention time, because according to President Lincoln speech “less is more”. I think if one would deliver a three hour speech, will have about half of your audience gone home or sleeping and snoring. That really doesn’t seem pleasant. This articles also is helpful in understanding that in order to give the audience what they want, you must know them. So I believe that Mr. Sanders really takes a time to understand his audience needs and wants, and that is why he is winning to his audience. Mrs. Clinton just hasn’t really capture my attention which is why I still see and remember her past because she sticks to the past. Since the first democratic debates, both Bernie Sanders and Hilary Clinton have stood out from the rest of the candidates in both parties. While the Republican Party looked like a reality show mess where people pointed fingers and bashed at each other, both Hilary Clinton and Bernie Sanders showed signs of agreement and even support for each other, such as when Bernie agreed to “enough about your damn emails!”. This support and agreement has long been gone due to competition and even though Clinton believes in continuing Obamas work, she has had to separate herself from this idea due to the fact that it is old news. It has been a common question in many of her interviews and debates regarding how she will differ from Obama’s administration. Bernie Sanders’ attacks on Wall Street have even become a similar move for Hilary Clinton, saying that she would work with Wall Street on moderating its recklessness. I always believed voting didn’t matter. I believe in smal government and my candidate in the 2012 election, although the most favorable, was completely ignored by the media. If you haven’t figured it out yet I’m talking about Ron Paul. My thoughts on the topic are that I don’t trust Hillary at all, I think Hillary is a liar and a flip flopper. From her actions while Bill Clinton was president, whitewater, and when she was secretary of state, Benghazi. Bernie has been loyal to his causes for as long as he has been in office, while Hillary is adopting his “IDEAS” for voter support. She was against gay marriage 10 years ago, now she’s for it, she loved the crime bill now she is against it, she said nafta was amazing and now she said it is horrible. The article was well written and I also agree that Senator Bernie Sanders is using his time wisely, he is “making his audiences say “wow!”” and he is “telling the audience things they’ve not already heard.” But I would also add that he is just the fuel to the flame. Bernie Sanders has been feeding the passion young people feel. The passion that comes from the government being so corrupt that any one lobbyist can drop some dollars on a senator, congressman or any other state official and get some legislation put into the house. A few more dollars and the legislation would be passed with bipartisan support. Either way I would also like to add that I believe Bernie Sanders, although loyal to his constituents while Hillary Rodham Clinton, as we have seen before when she promoted fracking and the Iraq war, is loyal to the lobbyist, campaign donors and other high class individuals. First off, I completely agree with you about Hillary. Between her and Obama I’m not sure who has flip-flopped more. Hillary Clinton is a liar, and a crook. Trump has said some pretty ridiculous things but, one thing he is right about is Heartless Hillary and Crooked Hillary. She even recently said that Bill Clinton would be in charge of some things if she were put into office. HUH?! I agree with small government as well. I also agree with you about Bernie’s speaking skills. Even though I don’t think anything he is saying is possible he really has people paying attention unlike Hillary. It’s also hard not to pay attention with the crazy promises that Bernie is putting out there. Professor Duane Smith makes several interesting points in this review of an article found in the Wall Street Journal entitled “Hillary is in Trouble”. In it he argues that “It is Hillary’s inability to mover her audiences that is most compromising her success thus far in her bid for the Whitehouse”, and that Bernie Sanders her greatest opposition, “uses his time wisely, makes his audience say Wow, and tells them things they have not yet heard”. So again Professor Duane Smith implies that a candidates speeches either hinders or accelerates the possibility of election, and I am inclined to agree. Besides the Professors personal experience, the author of the article compares the two speeches by indicating the direction in time both speeches referenced “Hillary spoke of the past, Bernie spoke of the future”. This observation already puts Hillary at a disadvantage because of the negative and positive things associated with her past, the scandals that were highlighted in the article being reviewed, and the fact that her husband, who is an experienced former U.S. President, would be able to help advise her (which can be considered a strength) is still shrouded in the past. When Sanders “speaks of the future” he creates a picture of what can be done once elected to office, giving hope for continued change and reform. The points raised in this article shed a new light on the basis for the Wall Street Journal authors original view and gives a solution to the hopeful candidates ongoing issue of ineffective speaking. Although the delivery is vital to the reception of the message, the content of the speech should count for more. It is my opinion that the reason for ease of corruption in politics is the charm and silver tongue of the most corrupt, in delivering speeches with no actual substance, but cheered on by the masses. So I would have to agree with the Professors stance on the effectiveness of speakers being an outcome of “brevity”, and “preparedness”. There is an acronym I have heard many times K.I.S.S. (Keep It Simple Stupid). Sometimes you say more when you say less, and 10 minutes although it can feel like an eternity, seems a reasonable time to as the Professor mentions to be both “informative, and short enough to respect the audiences desire for brevity”. In the past, I had never paid much attention to our presidential candidates and their speeches or campaigns. Partially because I was not able to vote and felt that my opinion did not matter, until now. I feel that this article addresses something very crucial when it comes to electing a new president and feel that many seem to miss one of the main the points. We as a society are so caught up with television and social media that we forget to learn about the real facts. It certainly does not help when candidates such as Hillary, deliver a redundant speech full of old news rather than feeding her potential voters and followers new information. When compared to Bernie Sanders, Hillary’s ideas and speeches are similar to that of President Obama. Why not create something that will allow the audience to remember you, something original? Like stated in the article, I believe that there is more to it than the “baggage” she carries that can potentially help capture a bigger audience for her as well. The structure, how she delivers it, and how she prepares prior to a speech can make an impact on her audience. Knowledge is power. Power can allow someone to move mountains if they really wanted to. So why restrict the audience of gaining knowledge? My future vote is influenced by someone who chooses to practice, research, deliver, and teach me something I did not know. To me, this is someone who is knowledgeable, well prepared, and has put effort into their work. This topic does put things into perspective, however. I would not want my future president to deliver a speech similar to one that I have heard once before, let alone run a country with the same ideals as a previous president. I would want new information to be delivered to my ears, something that I can take away with me and perhaps inform someone else about. I agree with this blog in that less can be more as long as a speech is structured in a way that leaves one with clear ideas and new information. Erika, you made some very good points in your response to this article. We as a “society” do really get “too caught up in the media frenzy” of campaign adds and mudslinging, and “forget to learn about the real facts” about a candidates platform and what they actually represent. I have spent some time wondering about this very topic. But in any case, I agree with your message. In addition I feel that many politicians and law makers purposely structure the wording of their proposed laws in a very confusing manner, to veil the true purpose of their existence, in such a way, that you need an interpreter just to figure out what is being said. It would be easy to simplify the wording in order for all eligible voters to easily understand what they are voting for. This is why a candidates speeches are so important, and I especially agree with the last sentence in your post when you “agreed with the blog that less can be more as long as the speech is structured in a way that leaves one with clear ideas and new information”. I don’t think that my thoughts on this topic can be said in the three hundred words but I will try. I’ve heard Hillary Clinton speak for years longer than I’ve heard Bernie Sanders speak. I have never paid much attention to Mrs. Clinton because I do not agree with her views or policies. I think she’s a crook and I terrible public speaker. As mentioned in the article she never speaks of anything new. She always recycles what she speaks of and has a hard time keeping audiences engaged. I’m not thrilled with Bernie Sanders either but he has really been able to capture his audience and give them something new to think about. I think this is why he has been able to attract the attention of the younger voters. The article is well written and precise. What some like to say short and sweet and to the point! I appreciate the personal opinions in the article and the personal anecdotes. Reading that the author of the article knew personally what it takes to speak in front of major audiences made the opinions more creditable. The argument that is presented is that Hillary is not as strong of a speaker as Bernie. The article provides a strong case for it. The thing that always seems to get me is that they can have other people writes their speeches. There are a million fantastic writers they can write engaging speeches so, why are they being utilized? Also, after hearing and reading over and over that Hillary Clinton’s speeches are old and reused why wouldn’t she step up to change the game and be more engaging. On Bernie Sanders behalf I don’t think he’s that much more exciting I just think he’s proposing new ideas, ideas that will never work but, because they are new people are listening closer. Clinton really needs to step it up. Isn’t she trying to be president or something? I agree with you definitely, I actually find it outrageous the type of people we have running for president in this term, if anything its actually pretty sad. I don’t think any of the politicians running for president this term year are even good public speakers. Bernie Sanders is just a complete bore and delusional talking about free college but not being able to explain how its gonna be done, Hillary Clinton has always been a crook and a liar with, not to mention the Email scandal that she had recently and the fact that even her husband Bill Clinton wants her. Janet, I enjoyed both the title of your article which was explained in the last sentence of your response, and the content of which this response was based off. It would make sense that Hillary utilize top speech writers, and people to help her in delivering her speeches. It would also make sense that she instruct her speech writers to go in a different direction once extreme criticism was present, and deflect and redirect inevitable questions in debates regarding her past focusing on the future. But as the focus of the article is “Hillary is in trouble” that has not yet happened. I personally do not agree with Hillary’s views and policies, but I am a little more optimistic about Bernie’s. But I respect your personal opinion on the subject, and wholly agree with the basis for your response. I agree that less is more, even though Bernie sanders uses his time wisely he just seems like he is putting me to sleep. Hillary on the other is not the greatest speaker ever but she is leading the polls. Even though she looks people in their eyes and tells them some of the biggest lies ever. Bernie on the other has been saying things we never knew but he is delusional promising people what he can’t deliver, such as free tuition and etc. The socialist from Vermont has people feeling the Bern, the heartburn, the rash burn and every other burn that’s possible. It’s no wonder why there is a chance that someone like Donald Trump has the chance to actually be the president of the U.S. and it’s another reason that explains why I can’t stand politics. Even though whoever is going to be the president is just an image. In the philosophy class that I have been taking this semester, our professor asked us what it takes to be a good politician. My answer was pretty short and simple but it was right. In order to be a successful politician you have to have good public speaking skills. Some of the greatest politicians in history have been known as some of the greatest public speakers of their time. I like your idea on brevity, because I myself as an audience look for a point in something and if it is taking too long to see the point, I start losing interest. I think the general public would agree with me as well, but this doesn’t apply to public speaking only. It applies to everything we are an audience to including movies, shows, plays, etc. In class we learned timing s everything, and it really is. I’ve only been invested in voting for a short amount of time, lasting through the last three presidents. It never really dawned on me what it was about the candidates that drew me to them. After watching a few docu-films about how voting happens, campaigns are run, and presidents are made, it all is such a dirty mess. I haven’t really been watching the debates or the news, not because I don’t feel that they’re important, but because I’m turned off by most of it. The little I do hear from the news is biased and I would rather come to my own conclusions. My thoughts on the topic of Hilary not being a moving public speaker are simple. I’ve found that those candidates, who can have that moment with their audience, call it a “wow” moment, or an “I didn’t know that” moment, typically move me. The way President Obama gives his speeches always moves me. The sound of his voice, the occasional planned pauses, not to mention a song lyric sung out in tune, made me say “wow” a few times. It kept me interested and wanted to know more about him and what he was all about. His speeches didn’t seem to be too lengthy, another topic of the article, that I’d never really paid attention to. I haven’t been able to see either candidate speak, but it sounds like the Clinton campaign speechwriter needs a nudge. Maybe she needs a Duane Smith? Either way, spoon-feeding your constituent’s endless amounts of word vomit won’t win votes! Especially if your own traveling press corps, the people who are around you constantly, can stand still. The article itself was informative. Not just in regards to the topic at hand, but for personal and business purposes in general. I’ve always been a part of educational teams, from as young as grade school. Although I didn’t know it at the time, speaking to a group of my peers in as little words possible to get the point across was always at the forefront of my mind. After someone shouts out, “hurry up already” you find a way to shorten even the shortest of speeches! As I’ve matured in my profession, learning to de-clutter email responses have been a skill I’ve been honing for a long while. Although I am a person of details and showing how every detail affects a given situation, sometimes people don’t require the added crescendo. I think to keep up with the news and to know whats going on in this years presidential race is very important although I don’t do it my self. I don’t even vote, I also have seen many documentaries about voting and politics and campaigning and it’s all a huge mess for one, for two I don’t think my vote counts. The only downside is that if everyone in America thought about it like that then there wouldn’t be any voters left, maybe its just me or maybe theres many more like me. Its actually a shame what politics has become, here we all were thinking that politicians become what they are for the people like firefighters who want to save lives. I totally agree with many things you stated above. For one, news stations show bits and pieces of things that will capture the attention of a particular audience. It is very rare when they show both sides of a given story and is almost always dramatized to again, capture that audience- in shorter terms, it is very biased. Secondly, the way President Obama delivers his speeches is unique and well prepared. He is original and allows for that connection to be created with him and his audience. Though Hillary seems to shadow many of President Obama’s ideas, she clearly fails to create that originality and connection with her potential supporters. Like stated in the article, this has created an issue for her in comparison to her competition Bernie Sanders because he seems to have a deeper connection with his supporters that she does. I also agree that this article was informative and has helped me communicate better at work by using fewer words while getting my point across. I always believed that voting didn’t matter. I believe in small government and my candidate in the 2012 election, although the most favorable, was completely ignored by the media. If you haven’t figured it out yet I’m talking about Ron Paul. I wrote in Ron Paul in the 2012 election. I was a registered republican just for him. I have since switched my voter status to independent. I am not a republican nor am I a democrat. Bernie Sanders is my guy, not because he wants to bring a taste of democratic socialism in our two party system, but because he is consistent. He is honest when it comes down to it, that is what he has in common with Ron Paul. He has tried to allow gays in the military when Mrs. Clinton was against it. He supported gay marriage when Mrs. Clinton was against it. When Bernie Sanders was marching with Martin Luther King Jr. on “The March on Washington” Mrs. Clinton had a confederate flag hung in her room. She supported the North American free trade agreement(NAFTA) which caused Hundreds of thousands if not millions of jobs to be sent to mexico destroying a chunk of the middle class and bringing unemployment percentage levels up but added billions of dollars of profit to US based corporations. That is why I am voting for Bernie Sanders in the primary. If he doesn’t make the primary I wouldn’t vote because I don’t want a racist nor do I want a corporate puppet as my president. As they both deliver their sales speeches, it all boils down to who is more capable of moving a large crowd on a much bigger stage with a concise and believable message, I also believe body language can help to convey a message because perception really counts. Bernie Sanders delivers a message about “wall street and income inequality” and continues to garner attention by repeating same message over and over. Hilary Clinton on the other tends to change her message with different demographics. Truth be told, I haven’t watched much of the debates. But your analogy of the car salesman totally makes sense, but let me take it even further. When I went in to the local Toyota dealership, I was bombarded with the eager salesman who was trying to sell my HIMSELF and all the things HE could do for me, that I was left gasping for air. At the end of the day, I left and purchased the car through a broker who asked me for a model, features I wanted, and a price point I wanted to stay under. I think your point of being able to be fluid and mold your speech differently for a different crowd is something that Hilary is winning at. But being able to deliver a concise message in her speeches may be a hurdle for her, as she seems to loose everyone’s attention due to her lack of time management in delivering her speeches, just like my eager car salesman at the dealership. On the other hand, my car broker who is more concerned with what I could afford based on my income, and used our five-minute conversation to get all the info he needed to help me ended up securing my business. These debates won’t get any easier, and unfortunately, my job of weeding through muddy speeches will only get harder. Either way, I’ll be looking for the points you’ve brought up today in feature speeches these candidates take on. I have been following the presidential nominee race closely, and I agree with the author that Hillary is losing the momentum because of the lack of excitement and content of her speech. Hillary has a much bigger name, reputation and support behind her that it looked like she had this in the bag before the race even started. Most people didn’t even know about Sanders until Hillary started losing the interest of people, and they wanted to see what the other candidate had to say. That’s when Sanders really shined, because he is always straight to the point and he has new ideas that he is bringing on the table. I have to admit that my vote is on Sanders for those reasons. He doesn’t sound like the rest of the politicians dancing around the issues to please everyone, which in return nobody get’s pleased anyways. Unfortunately for the politics, this might not be the winning formula, or at least big enough to impact the result. When people introduce new ideas, they get criticized way more in comparison to an idea that’s been already implemented by the last president and it worked. The saying goes as “no need to re-invent the wheel”. Additionally, being straight to the point is appreciated by a good chunk of the voters, but honesty only goes so much with politics. Now that people or corporations completely understand his intentions, it might cause him to lose publicity. It is pretty obvious that any small gain by Hillary is being over blown by CNN while Sanders gets almost none to very little air time and his accomplishments are not recognized. In that sense, as much as I agree with the author that Clinton’s speech weakness has a direct effect on her performance, she might still end up winning the race. I couldn’t agree with you more! People get judged for many reasons on a daily basis like by what they wear, what they drive, or where they come from. But few take the time to learn from new faces or hear what they have to say based on their unfamiliar name. It is true that Hillary has been known by many since the beginning which for a long while was to her advantage. It was only a matter of time, however, that people would lose interest due to her repetitive speeches and similar ideas from our current President Obama. Bernie’s way of delivering new ideas for this country has increased the number of his supporters overall. However, I am too, not certain that this will be enough for him to win the race. Running for public office is a game of coordinating with an effective pitch of your candidacy to voters. Thus playing a major role in their respective campaigning strategies. It would be inimical for Clinton not to address her prominent exposure in media due to prior roles as First Lady during the Clinton presidency and Secretary of State during the Obama administration. On the other hand, Bernie has no prior relation to the oval office to reference or pitch off of, he is purely dependent on his tentative future-centric platform to garner voter interest. Tangentially, this technique is pronounced and exploited by Donald Trump, who lacking any political resume must resort to inflammatory remarks to build his platform upon. However, off the campaign trail, there isn’t much room for a wow factor when speaking public policy regarding international affairs, after all impressing voters is not a primary concern of government outside election cycles. Furthermore, the novelty experienced in other fields is not shared by the government, which is notorious for slow adoption of new techniques and if anything is adamantly inflexible to virtually any form of rapid change or dramatic restructuring. Sander’s misrepresentative approach to government policy is most notable in his recent interview with The Daily News. Sander’s technique is exploited by Trump who presents an irrational perspective of American demands, providing equally unrealistic and irrational public policies, which at times violate the constitution. Instances like these are where differences between political speech and business centric speech become most stark. Yes, Bernie and Trump may draw larger crowds than Clinton but this is due to their artificial misrepresentation of government policy artificially intended to provide a ‘wow’ factor; the slow, incremental progress of governmental action is not a riveting Sunday night event meant to replace primetime television and draw enormous crowds. Anything of that similarity is departure from governmental topics and policy into a romanticized legislative decision making model more characteristic of financially interested business enterprises who must retain the attention of their audience to effectively sell a product. Ultimately, Sanders provides a respite from the droning of politics but when push comes shove a politician’s policies themselves are what provide the infrastructure for government action not their communicative ability, that honor, is mostly reserved for ghost speechwriters. I would have never thought that the topic was an issue to begin with. Not really an issue, but more of something I didn’t notice. When it comes to political speeches, I do notice they tend to go on and on without breathing it seems like. I would guess since Hillary is in the spotlight, and more well-known than Sanders is, she has to explain a lot more about issues than her opponent. And since we all know who she is, including all the mistakes she’s made, of course she has to drag on the speech, just to convince people to vote for her and to get her point across. That way, she gets rid of the negative perspective of the public and creates a fresh supportive background. As I’ve mentioned before, I would’ve never thought that speeches were an important part of the politic campaigns as well. Honestly, I was surprised that even in politics, not saying too much can benefit you. I always wondered why people liked Bernie Sanders more than Clinton. I figured it was because he is a new face, but mostly because he captivates the audience and has more faith with people to do what he says he will do if he becomes elected president. I personally haven’t watched any debates in full, but out of the times I have watched it, it was always the same thing being mentioned, and all of them throwing each other under the bus. Not once have I seen it where it was short and sweet, and to the point. But now, seeing what I read today I’ll take a peek at what this blog is saying. Only this time, I’ll pay attention to what they have to say and see if there could be any truth and excitement from it. This article proves the challenges that both candidates have ahead of themselves. Set aside the current speech challenges this presedency race has just begun. Mr. sanders has the ability to reshape and change the future of the youth with some of the promises he committed. Ms. Clinton aside from the challenges the presedency consist of, she will have a uphill challenge with the burdens her past have overshadowed her with. She can lead this country to better future but her husband made it difficult. These debates are the beginning of the long road ahead errors will be made, no one is perfect. I think the biggest hurdle for Sanders is that he doesn’t appear to be a formidable competitor. This isn’t to say that he’s too nice so he can’t win, I don’t want him to be like Trump! But I don’t think he’s gotten fired up about anything. At least with Hillary, she can debate with the rest of them, and can stand up for herself in the room full of men. I don’t think that Bill Clinton is something that people consider to be a difficulty that needs to be dealt with. Yes his infidelity happened, but they’ve obviously been through it all and came out at the other end, together. If anything, it makes me think that she’s an even stronger competitor because of it. Like you said, no one is perfect. This article is perfect to read the day before my Informative speech! I am going to make a speech about Disneyland! I found the topic online after literally googling informative speech ideas because I was so lost on what to discuss! But Professor Smith has been this so long it was hard to think of an informative speech that can “Wow” him! I try to stay away from politics as much as possible! I hate the idea of Donald Trump actually being able to run for presidency of the United States. His unremarkable comments and disrespect can make this country a laughing stock if he does get elected. I think Bernie Sanders’s technique to exploit Trump is just retaliation and I do not disagree with it. When Obama was running for presidency they tried to break him with whatever information they could find! Lincoln spoke for three minutes and twenty seconds, and changed this country for the better forever! I believe Bernie Sanders can be the change this world currently needs! Without even speaking, Bernie Sanders is making waves with his kind soul. He has always been a leader. There are pictures of Sanders walking with Martin Luther King! Politics as Professor Smith mentioned is just about knowing how to lie, and how to “wow” the audience! He used his time wisely, and told them information they did not know before! Sanders can hopefully win this presidency! Only this one time I have actually read an article on politics! Sanders has so much passion for politics and just the overall good of this country for the people! While Donald Trump rallies are violent, Sanders are loving offering free hugs! I hope he wins this term over Clinton! Maybe college will become free, hopefully resulting a better economy! I really like this blog as it takes us into a very deep decision and allows us to notice how a speaking style can influence the audience. Henry Clinton definitely needs to change if she looks forward to become a president of the United States because her speech does not really takes attention of the audience. She sort of repeat lots of thing by saying that she will make the system better. Its more like she generalizes things rather than showing a pathway as to what she will do if got elected and provided a seat. Bernie Sander on the other hand does come up with internal plans to backup what changes he like to make. His style really catches public attention. Honestly, at first I was not noticing how the candidates were speaking. After reading this post, when I flashback, I do realize that Henry Clinton was repeating her statements most of the time rather than providing concrete arguments and decisions as what she would do make the country a better place. I found this discussion to be one of the harder ones because it was about politics. I do adore the fact that Sanders is winning, but I have a small understanding of politics! I do want him to win because I feel he can really do good for this country! There is so much hate in this world its scary! Bernie Sanders is really the most caring canidite in this term, I believe. For example, once during a speech a man fainted. Sanders stopped his speech and ran over to see how he could help! For this reason alone he won my vote! I disagree with the notion that Bernie Sanders has an internal Plan to change .Most politicians over opinions, whether or nor the can implement their plans with the help of law makers is another thing.Most people today are moved by economics,how to pay for school,how to pay a wedding ,how to send kids to school,how to pay for a vacation.Bernie Sander has tapped into that by floating a believe that wall street and billionaires are responsible for a slow economy. Most people are more attached to that message than in the case of Hilary Clinton where she very often talks about a laundry list of issues:racial barrier,criminal justice,marriage inequality and every type of inequality known to man. Bernie Sanders has hit the pocket book message that most can relate, to and that makes him exciting. I really enjoyed reading the blog. It was short, straight to the point, and very informative. I was so surprised at the fact that all you need to do it two things! Tell the audience something they DON’T know and make them say “WOW” or “That’s so cool”. Now that I think about my past posts and presentations I’ve done in the past and remember how I’ve struggled and spent all night thinking of what to write. Now presenting something seems much more doable because all you need to necessarily focus on is those two things! Thanks for the real life help Prof! Awesome blog! After watching the debate with Hillary Clinton and Bernie Sanders I believe anyone would agree that they’re both very different. Sanders grabs my attention with all of these new ideas he has in mind for our country and Clinton repeats everything that President Obama has said he’ll do. She continuously says that she wants to work on the Obama build instead of building a new one. People have heard this for the past 7 years and a majority of people are still not satisfied. They’re not interested in having another President Obama. They want something NEW something more EXCITING. Don’t we all? Bernie Sanders takes the lead by his courage. He shows the people that he will be a new leader and presents himself as something that we have needed for a while now. Mr. Sanders makes me say “WOW! I did not know that!” or “That’s so cool”. While Hillary Clinton doesn’t because she has said it herself, she wants to build on what President Obama has created. Which I’m sure, sounds extremely boring to all of us. My opinion is a Hundred Percent influenced by candidate’s ability to speak. If you have all this knowledge but don’t know how to present it then you have nothing (in my opinion) but, if you have a single great idea that if presented properly you would attract the audience to listen and be influenced then you has everything. Everything matters on how well the person speaks. Whether it’s for president or if it is something that you would just like to present to a certain group of people. Everything ultimately matters on how you present the information. The same idea crossed my mind when I thought about my past speeches and presentations. I guess even with a boring topic, we need to find a way to make it a “wow” presentation and give new facts/knowledge to listeners to be successful. I will definitely pay more attention to this formula just like you. I like Bernie Sanders for the same exact reasons like you, but one of the complaints of the voters is that they are so happy with Obama that they wish he could serve another term, which is impossible. I think Hillary is trying to capture those people. I agree with you that a new person with fresh ideas would be potentially better for us, but some people think “why fix something that’s not broke”. I found Hillary’s speaking style rather contrived and predictable. I felt as if all she did was further polarize herself from Bernie. She being the status quo and Bernie the revolutionist. Her answers were general and fearful. She claims to be the candidate with the experience, to battle the big, bad, Republicans which are trying to take away woman’s rights, Social Security and ACA. I like Bernie’s style, he reads from his notes and seems to have genuine expressions. He has believable passion, his reactions are not dramatic or forced. He specifically tells us what he wants to do, for example “free college” and “$15 hour minimum wage”. He speaks of unity and revolution. I find Bernie to be the “Grandpa from Berkley” while Hillary is “Stepford Good Wife”. I am absolutely influenced by the candidate’s ability to speak, if they cannot communicate effectively and persuasively, they will be ineffective as leaders. I enjoyed the blog because it was interesting and informative. It gave me, another perspective to speech or debate. The simple formula of brevity, new and wow, I believe sums up in simple terms, important concepts. I am a big fan of simplicity and logic, and this has it all. Thank you! Bernie Sanders attitude compared to Hillary Clinton is so passionate and generally caring! The idea that they would even be able to cut off Social Security and woman’s right is so appalling. Sometimes I doubt the security of the Constitution and Bill of Rights, which is supposed to be United States back! I love America but if Donald Trump or his friend Hillary Clinton get elected, I will be moving to France! Which even has a much better meal plans for Kinder to High School! So many thing need to be fixed in United States, we need an amazing leader! I couldn’t agree more with your post. I enjoyed reading your thoughts on this blog, especially because it was similar to my thoughts as well. I wish Hillary can give us more. As a woman I would have loved to chant for Hillary and watch a fellow woman take office but I just don’t see myself supporting her. She lacks a lot of things that other candidates bring to the table. At the end of the day this isn’t a popularity contest, its a serious matter that has the fate of our country waiting on. I also love and agree about what you mentioned the speaker needing to have and show confidence. I don’t think anyone can have confidence in someone who doesn’t show confidence in themselves. This blog really got me thinking about my own abilities to make an audience say “Wow”. What actually makes an audience say wow? I understand that teaching them something new can impress them and rouse them but how can it be certain that it would have that wow factor. Does it also have to do with the tone that is being delivered in? The blog was accurate about how Hillary lacked many of the things to make a great speaker and it also gave great examples. I just wish it could have given more about the wow factor. I don’t really remember Lincoln’s address and it would have been great to know the wow factor behind it rather than how short it was. Hillary speaking style is clearly ranting. She doesn’t amuse, inspire or persuade very much. Her redundancy has got me yawing and the fact that she failed to address what she can do for America as president rather than what Obama has already done, really convinced me that I wouldn’t want someone like her in office. Bernie got me looking forward towards the future. He made me feel hopeful and brought things to the table that Hillary had not. Overall Bernie won the debate between the two. My vote in completely influence by the candidates ability to speak. Hence the whole purpose of these debates. It’s to show and persuade the audience who is the person to run our country. If they can’t give me what I’m looking for in their speech, well they most likely won’t get my vote. Hi Angela, I also shared your introspection. To answer your question regarding the audience saying “wow”, it depends on the audience, I believe it has everything to do with preparation, and with preparation – who are you targeting? Then you can gear your speech towards them by using euphemisms, rhetoric and other methods of speech. And yes, tone is very important, it implies emphasis, breaks up the monotony and allures to confidence, all needed of a great speaker. I agree with your overall outcome of the debate and I too, am persuaded by a person’s ability to speak. I completely agree with you that Hillary is not giving a new vision, just banking on being the continuation to Obama. This is also not earning my vote to her. I liked that President Obama promised changes and brought the country to a more stable level. I also liked his health care reform. I certainly wouldn’t want somebody that is going to wipe out the last 8 years of work. I don’t think most people understand this though. Looking at all the criticism to Sanders “free stuff for everyone”, I could clearly see that most people still don’t understand his vision despite the short and straight to the point style. It looks like majority of voters are only going by general reputation and what media is pushing towards them. I hope you are correct and this reflects to the results. (1) What did you think of the blog? When I first read this article, I immediately thought of my analysis of Clinton’s debate techniques from the fourth Democratic presidential debate. When I did my analysis, I actually concluded that Clinton had the best debate techniques of the three candidates. I attributed this to her succinct and seasoned uses of Aristotle’s three artistic proofs, logos, pathos, and ethos. However, now that I have read this blog post, I think there may be at least two different ways to view a good debater. In the sense that I used in my paper, a good debater is someone who can use the three proofs the best. In this blog, I see a slightly different sense of the term (which is not bad) – more of someone who can be brief, exciting and/or surprising, and original. This is why it is important to define terms in debate, as the book states. We define “good debater” in two separate ways. 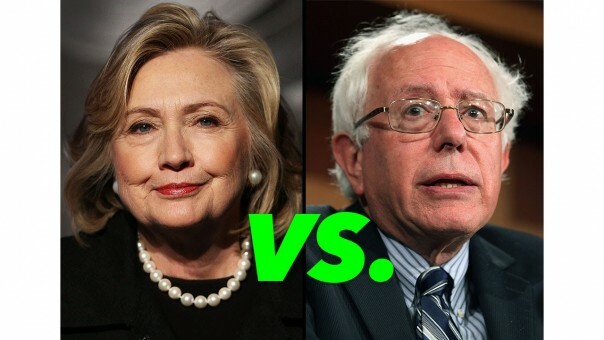 (2) What is your opinion of the speaking styles of Hillary Clinton and Bernie Sanders? The only issue I can see is that Clinton, by her own words, desires to be the exact opposite of original. She wants to “continue the legacy of Obama.” So, no matter how briefly or entertainingly she may speak, she will never be the type of good debater the blog post is describing Sanders as. Her campaigning tactics go against the nature of the blog’s sense of the term. I do not think the blog’s sense of the term is bad. To the contrary, I think it may be a better descriptor of “good debater” than mine. What I do think, however, is that Clinton, according to this post, cannot continue her current debate techniques and expect to win the support of the Democratic Party, much less the American electorate. Apparently, Americans do not want any more of Obama’s “change.” They want new change, and Sanders is promising to provide it. (3) How is your opinion influenced or not by a candidates ability to speak? I really do not know how much their ability to speak influenced me. I do not care as much about the candidates’ charisma and magnetism when speaking, as much as I care about their ability to communicate clearly what they are going to do during their office and how they will do it. If a presidential candidate cannot communicate to the American public clearly and effectively, how will he or she communicate to other world leaders? Hillary’s First Term or Obama’s Third? I enjoyed the blog for a variety of reasons. We are nearing the fourth week of class and you as the professor have had the chance to read my opinions and findings on a number of situations and articles and for the first time I am reading yours. I agree with everything said in your blog and I learned something new after the reading. I agree that audiences desire brevity and that quality is often preferred over quantity. Often we see public speakers using a ton of jargon and unnecessary words that confuses their audience which leads to a lack of interest and nothing to be learned. I have not had the chance to see them speak as much as I should have but I saw them speak for the first time during the first democratic debate of 2016. The speaking styles between Bernie and Hillary differ a lot. Hillary seems to focus her speech on what Obama did leading me to believe if she is elected it will feel as if Obama is having his third term. I feel this takes a toll on the enthusiasm of the crowd. Bernie on the other hand is able to excite the crowd primarily due to all of his new ideas. My influence to vote on candidate relies heavily on his or her ability to speak. The candidate needs to be a good public speaker because it shows confidence and confidence is a strong trait (something our president needs to be). In addition to heaving confidence they need to be able to curb my enthusiasm and keep me interested by wowing me and teaching me something I had no prior knowledge of. I’ve been sitting here laughing at your title for a whole three minutes. The title of your post is so utterly accurate and ironically in keeping with the article: it is concise (just six words of genius) and informative (anyone who didn’t know Hilary’s platform has learned something new in just one sentence). I also enjoyed reading your post in general – we agreed on most everything and have very similar opinions. Furthermore, you make such a good point about how this is pretty much the first time we’re hearing the professor’s own opinion on the debates and public speaking in general. That thought put an interesting spin on the blog and actually made me reread the post with it in mind. Hi Megan I could not agree with you more as I agree with everything said in the blog just as much as you do! Yes, Hilary sounds just like president Obama. The only difference I’ve seen so far is that she is a woman. Mr. Sanders is all about new ideas and creations which I find really amusing. I am also strongly influenced by the way the candidate speaks. It ultimately chooses who I will vote for. Presenting properly means everything. BTW, I love your title. Its one word: INCREDIBLE. 1. I enjoyed the blog for ironically self-referential reasons: it was concise enough to keep my attention from beginning to end and I actually learned something I didn’t know. In other words, I never knew that all it really takes to wow an audience is to say something new and say it in a powerful way. The blog did an excellent job of putting into words something I never could. For example, I’ve often been impressed with speeches/poems/profound quotes but I could never quite explain why. After having read this post I can agree that I am moved by discourse when the wording sticks with me or when a presentation has taught me something new. 2. I completely concur with the author that Hilary doesn’t entirely affect her audience the same way the other candidates too. She is constantly being cut off because she doesn’t know how to use her time wisely and she hasn’t once said something that had me nodding my head or feeling encouraged about the future. In Clinton’s defense of the latter, her entire platform up to this point has been continuing Obama’s legacy and pseudo-extending his presidency. Rather than inspire her audience about the future and what she could bring to it as president, she assures us all she will have the same effect as Obama has. She doesn’t tell her audience a single thing they hadn’t already heard from President Obama and, therefore, teaches them nothing. Bernie, on the other hand, is all about the future. Though sometimes it’s unpractical to be so idealistic in a speech, if ever there’s a time to talk relentlessly about the future – it’s when you’re running for president. 3. My opinion is 100 percent influenced by a candidate’s ability to speak because a president who can’t speak well might not be thinking well either. I might be alone because I’m particularly impressionable when it comes to a powerful speaker, but I wholly believe that someone who can rally me into trusting that this nation has a chance and that this world can be peaceful deserves my vote. Public speaking and the solidarity it provides citizens is the cornerstone of any successful movement. Abraham Lincoln, Dr. King, and even Adolf Hitler wouldn’t have gone nearly as far as they had without their ability to gather and influence a crowd. Of course, this goes to show that successful public speaking can be as detrimental as it is helpful when it’s in the wrong hands, but that is beside the point. The point is the power of speech set all of these people apart from the others who had tried and failed to create the same effect. A commanding presence and compelling presentation fully influence me in who I trust to run my country. I really liked one comment of yours in particular, “Though sometimes it’s unpractical to be so idealistic in a speech, if ever there’s a time to talk relentlessly about the future – it’s when you’re running for president.” It is an interesting comment, and I agree with it. Among ourselves, as non-presidential candidates, we oftentimes try to avoid overthinking the future. However, it is the very essence of the president’s position to overthink the future. I also enjoyed your comment on Abraham Lincoln, Dr. King, and Adolf Hitler. They were all good speakers, who moved masses of people to action. I do not think I am as influenced by good speaking or debating techniques as much as you claim to be, but perhaps I am wrong about myself. For sure, though, it is more difficult to convince me of a point if the affirmative cannot speak well. I really like how you also noticed that making a statement that please audience is crucial to win the game. Yes, Clinton does not do that. You are right she is only walking ahead with Obama’s policy. Lots of people are already tired with Obama policy. Therefore, Clinton needs to change her style and make her audience like her.